When Fork on the Road founder Joe Noone organised his first Adelaide food truck festival, he figured it might be a one-off. Around six years and 70 events later, he’s ready to call it quits – but he hopes it won’t be the end of Fork. 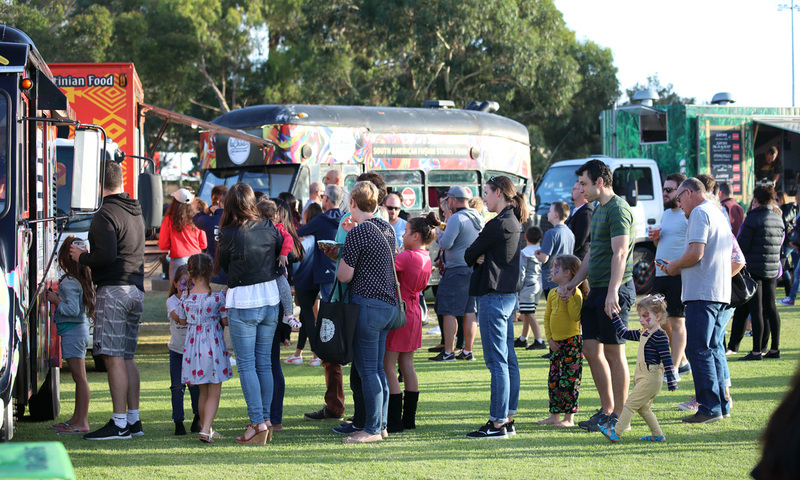 Fork on the Road has become an integral part of the Adelaide scene in recent years, with mobile vendors regularly converging on parks in the city and suburbs for events that attract thousands of people keen to indulge in the myriad street food and craft drink offerings. What many don’t realise, however, is that Fork itself is run almost entirely by one man in his spare time. And now that man, Joe Noone, has reached his own fork in the road. “I’ve put my heart and soul into Fork, from the initial crazy idea in mid-2012, to working with Splash Adelaide to make the first one happen in November 2012, when I had no idea what I was doing. Noone tells InDaily he has decided that the next event – Winter Fork on Port Adelaide, scheduled for June 1 – will be his last as director. However, he’s hoping to find a buyer for Fork on the Road so that it will continue on, “bigger and better than before”. Noone, who works as a public servant by day, says although he’s ready for a break, running Fork for the past six-and-a-half years – with no small amount of help from his wife and daughter – has been a fun, rewarding and life-changing experience. He had the idea for the first Fork after seeing first-hand the buzz generated by food truck festivals in the United States. At the time, South Australian politicians were spruiking “activation” in the city and Splash Adelaide was seeking proposals for projects, so Noone successfully applied to host the inaugural Fork on the Road event to showcase a range of SA food and drink trucks, vans, bikes and carts in one location. He thought the gathering of around 20 mobile vendors in Victoria Square in 2012 might be just a one-off. “Lightning in a bottle, I guess. “Food trucks were the flavour-of-the-month and everyone was wanting to be associated with them. Then one of the big tipping points was in February-March the next year when they had the Depot site [a pop-up hub on the old bus station site] for the Fringe. “They had it running for two weeks and asked me to do something the first and last weekend. One of them had 10,000 people come along. Before he knew what was happening, Noone was running Fork events every month or two; in those early years, he was even emptying the bins himself. Fork has gone on to bring mobile food and drink vendors together for everything from the opening night of the Adelaide Festival to gatherings at Plant 4 Bowden, Harts Mill in Port Adelaide, craft beer showcase events in Light Square and multiple Tour Down Under events. Fork has helped showcase a wide range of mobile food and drink vendors. Over those years, the food truck scene has changed significantly: many vendors have come and gone, and some – such as Burger Theory and Sneaky Pickle – have set up fixed premises. They have also weathered controversy after some bricks-and-mortar city business complained about the competition and the Adelaide City Council sought to restrict the number of mobile food vendor licences in the CBD. Another change, says Noone, is that food trucks are now being used much more for private catering and events at other venues such as wineries and breweries. They are also less visible on the city streets during week days, and he believes the ever-increasing variety and quality of new food offerings in the city has slightly eroded the “point-of-difference factor”. However, Noone has adapted in recent years by extending Fork on the Road into the suburbs, forming partnership with councils to run events which have proven extremely popular. Noone is hoping to find “a young entrepreneur passionate about community, events, food trucks, and local produce” to buy the Fork on the Road business – perhaps someone who is already involved in organising events or who owns a food truck themselves. Meanwhile, he’s looking forward to having more time for his family and other pastimes, as well as perhaps finding “another new idea to roll the dice on”.